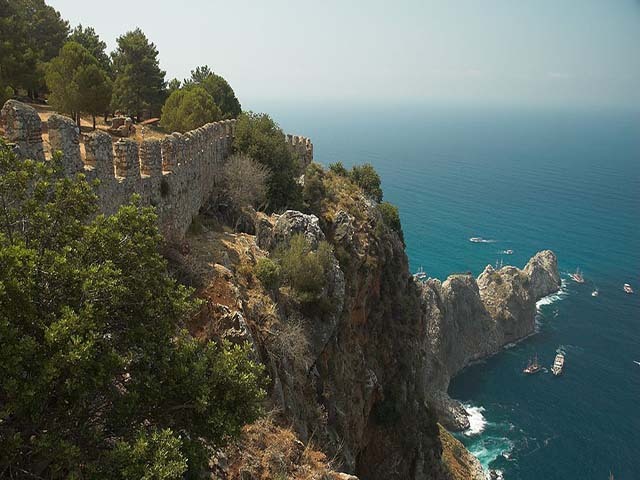 ﻿Alanya, formerly Alaiye, is a city and a component district of Antalya Province on the southern coast of Turkey. 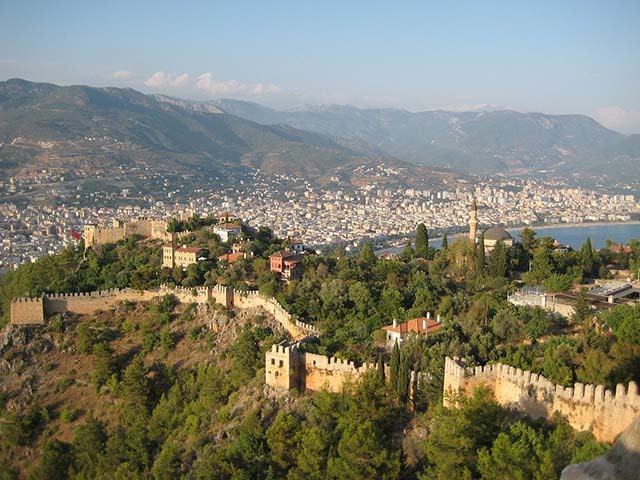 The city has been a local stronghold for many Mediterranean-based empires, including the Ptolemaic, Seleucid, Roman, Byzantine, and Ottoman Empires. 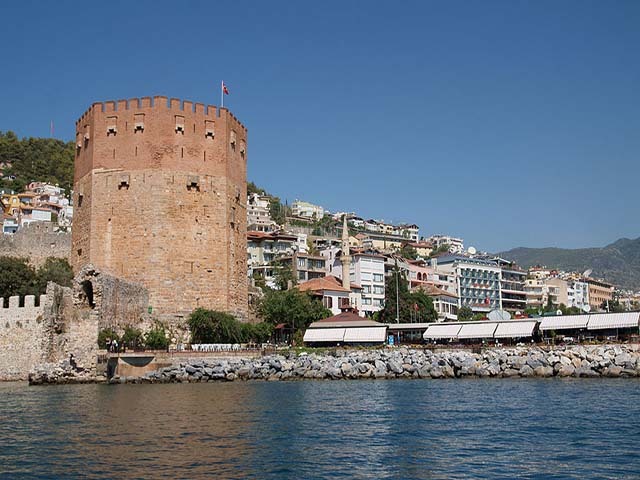 The city is noted for its castle which was built in the 13th century AD under the Seljuq Sultanate of Rûm following the city's conquest in 1220 AD by Alaeddin Keykubad I, as part of a building campaign that included the Kızıl Kule.